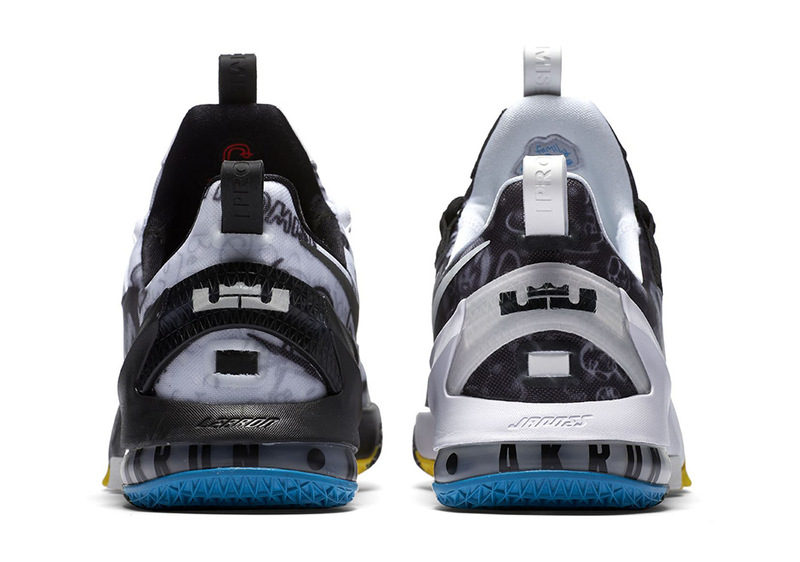 Last Updated October 28th, 2016: The Nike LeBron 13 Low “LeBron James Family Foundation” releases via Nike SNKRS on November 4th, 2016. 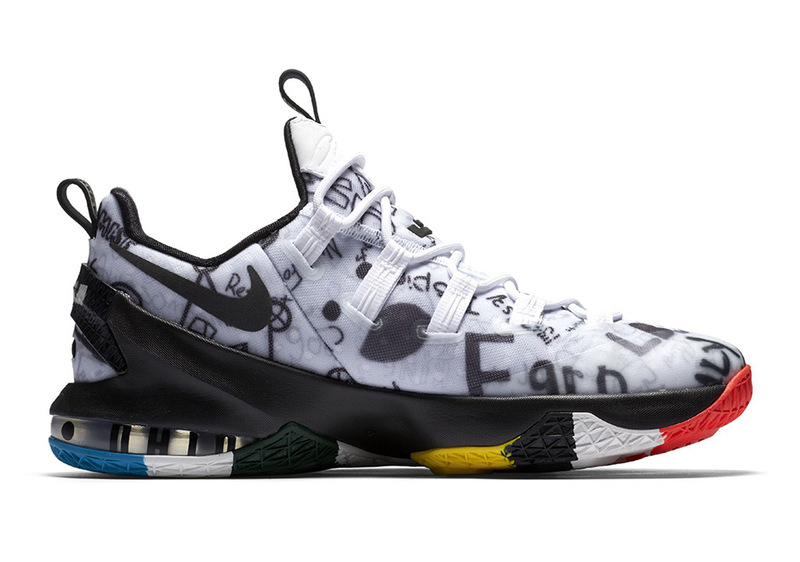 LeBron James is coming off one of the best NBA Finals performances of all-time, so how does LBJ follow that up for an encore this season? 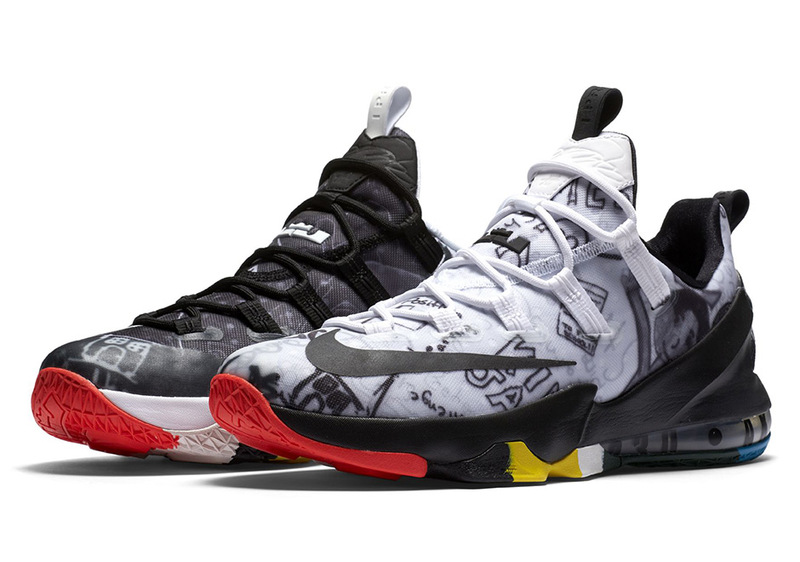 We’ll find out this Tuesday, October 25th when the season opens with a ring ceremony before the Cavs take on the Knicks, but in the meantime, Nike Basketball continues to drop awesome new colorways of the Nike LeBron 13 Low. 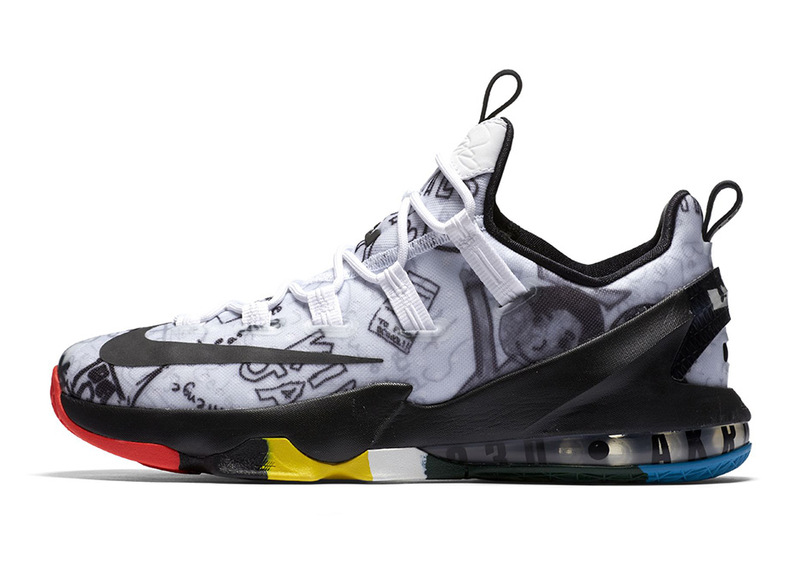 This latest mismatched colorway is known as the Nike LeBron 13 Low LeBron James Foundation and was created to benefit LeBron’s foundation through the use of graffiti youth-inspired graphics and letters. 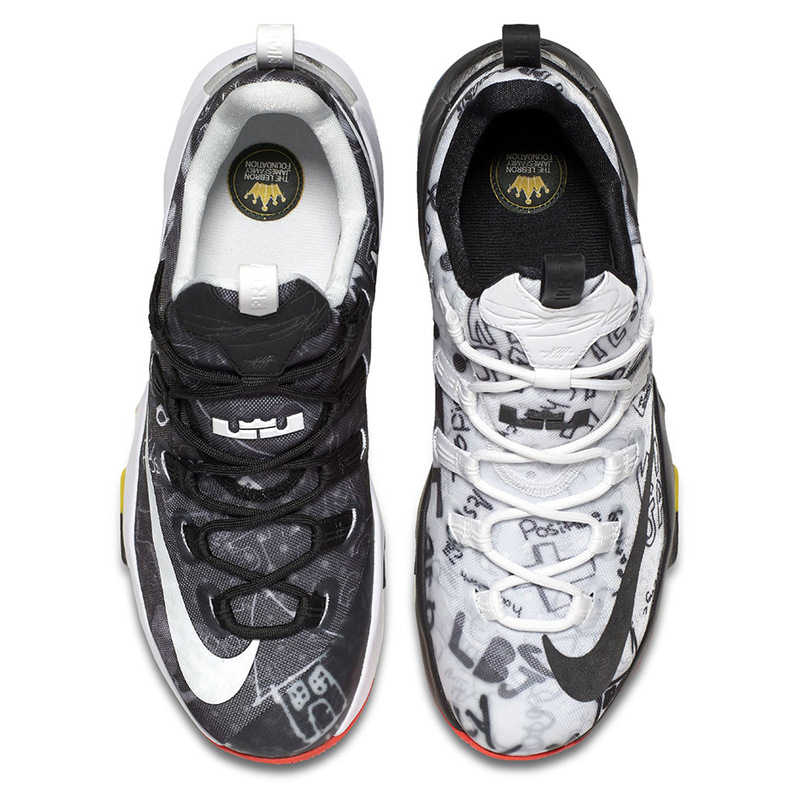 The Nike LeBron 13 Low LeBron James Foundation features both a black and white shoe each featuring drawings, scribbles and doodles to commemorate the kids that LeBron sponsors through his numerous programs. 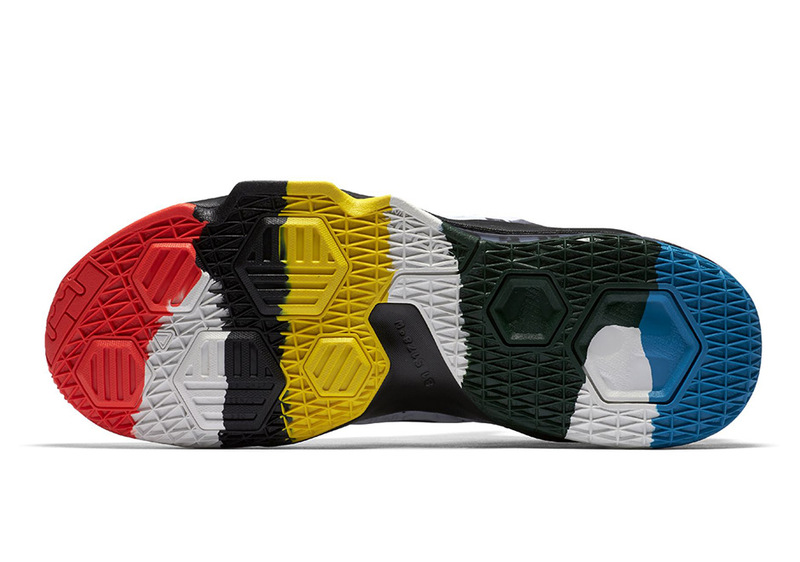 A color-splashed outsole unit adds a vibrant finish to the kids-centric pair. 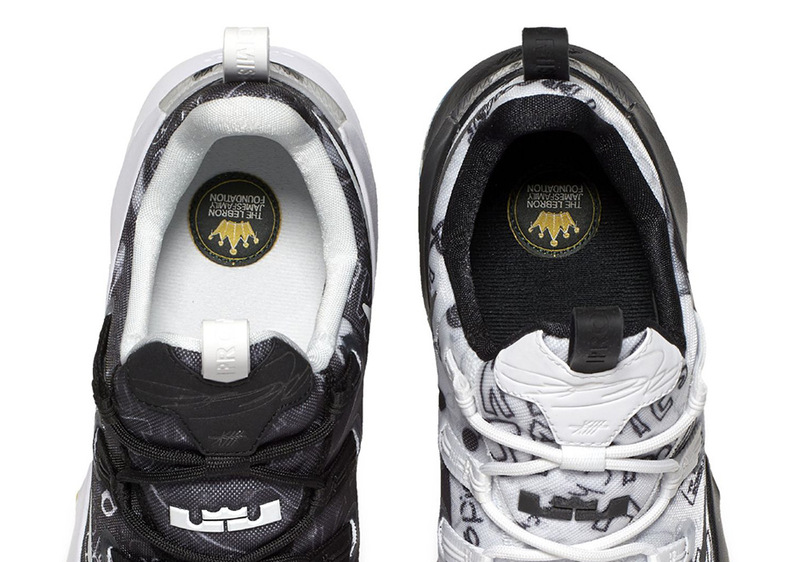 There’s no release date yet for the Nike LeBron 13 Low “LeBron James Family Foundation”, but check out this eclectic mismatched pair below and cop these on October 26th.